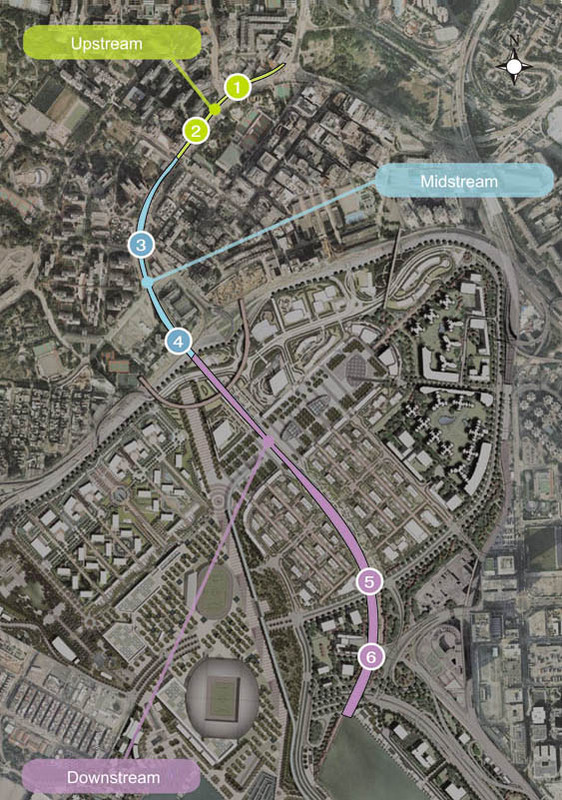 The existing Kai Tak Nullah is about 2.4 km in length. It flows from Po Kong Village Road along Choi Hung Road, pass Tung Tau Estate and San Po Kong, into Kai Tak Development Area before discharging into the Victoria Harbour. 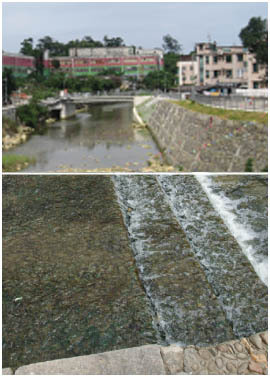 The nullah is one of the major flood relief drainage channels in East Kowloon area. This section is about 400m in length and 5m to 10m in width. The drainage capacity of this section was found inadequate. Flooding occurs in the surrounding areas during heavy rains. Therefore, the Drainage Services Department has planned to start improvement works in 2011 so as to enhance the drainage capacity of the nullah at the earliest. Enhancing greening, and landscaping facilities. Improvement to townscape and closer connection with adjacent areas. Restrictions on design of landscape, greening and facilities due to existing buildings and roads on both sides of the nullah. The water depth increases significantly during heavy rains which poses potential hazard to people near the nullah. Moreover, although water quality is improved, it is not suitable for direct human contact due to public health consideration. This section is about 700m in length and 10m to 20m in width. It runs along Morse Park, Nga Tsin Wai Village and Tung Tau Estate. Providing green river channel, better connection with Morse Park, Nga Tsin Wai Village, Tung Tau Estate and so on. Increasing public space for landscape, leisure and various community purposes. Although this section is wider than the upstream, there are still restrictions on design of landscape, greening and facilities due to existing buildings and roads on both sides of the nullah. This section is about 1.3km in length and 20m to 30m in width. It runs into the Kai Tak Development Area and is an element of Kai Tak Development. Along the river bank more public space can be allocated for landscaping, leisure, recreational and other community purposes. 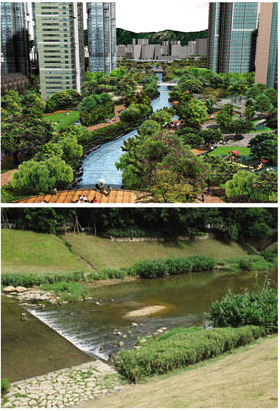 Development of the river bank in harmony with adjacent land uses such as commercial sites, Station Square and residential areas. 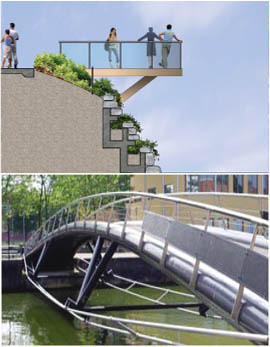 Landscape axis bridging old and new districts.